I have done a lot of research into “Assemble Products At Home” type job opportunities. As with most other money making opportunities you will find that there are a lot of scams. It is a good thing that you are reading this article as I will tell you the truth about what I know of making money by assembling products at home. However, you should always do some research yourself, especially by checking with the Better Business Bureau (BBB) to see what kind of reputation the company has. Another good place to do some research about a particular company is in forums. Just type the name of the company along with the word forum into a search engine to see what others are saying about the company. One of the best companies that pays you to assemble products at home is the New England Crafters Magical Gift Company. They charge a fee of $39.95 to get your starter kit. Once you complete a certain number of units they refund the initial fee in full. The great thing about this company is that they pay for everything after that initial fee. You never have to pay for your supplies, you don’t even have to pay for the postage to send in the finished products. The New England Crafters Magical Gift Company has a great standing with the BBB and you will find many people talking about their success with the company in forums. I can personally vouch for this company as my wife has become involved. The Magical Gift Company has sewing, painting, and gluing projects with over 30 different ones to choose from. Another company you have probably heard of is The Disciples Cross. This could be a good company for you to deal with, but it depends upon what you want to do. If you would like to assemble the crosses and then sell them on your own you can make a really good profit. Some assemblers place displays on consignment in Christian bookstores and other gift shops. Of course they can also be sold online, at parties, or for church, school or group fund raisers. From what I have learned about The Disciples Cross is that many people have problems with their buy back system. The company promises to buy assembled crosses from members, but many members report that the waiting time is excessive and the refusal rate is high. In response to this, company reps have said that the hand inspection of each unit is time consuming and their quality standards are high. So there you have it. It is a short list, but of all the “Assemble Products at Home” companies these are the only two that I would recommend. Is it possible to get paid for writing on the Internet? Often I am asked if it is possible for a person to write articles and other types of copy on the Internet and get paid for it. The answer is yes, of course, people are doing this every day and many are earning extra money or even a full time living from it. Making money by writing on the Internet is much like any other job or career in that it takes work, effort, discipline and time to develop. If you are looking for a quick and easy way to make money you are in the wrong place. 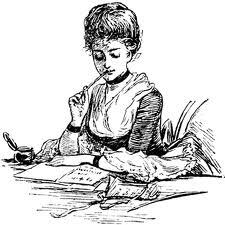 While writing can be a very enjoyable vocation it can also be demanding, time consuming and competitive. And what if you are a freelancer writing about boring topics and issues? Writing can become a drudgery, just like most other types of work. Are you still interested in writing for money? You can certainly do it if you put your mind to it and get going. Remember, “writers write,” so get to writing. 1. Write for a percentage of ad revenue “Ad Sharing” on an existing website. A typical ad sharing site is one on which you register as a member to write and publish content. Revenue from the advertisements that appear on the pages you publish are shared with you. Some of these sites will require you to have a Google AdSense account, others may require a PayPal account. Writing content for ad sharing sites like HubPages, Squidoo, and Info Barrel is actually a good way that anyone can get started writing. All it takes is an Internet connection and an ability to write! Work in your spare time with your writing or better yet instead of spending all that time on Facebook, games, or eBay spend that time writing and crafting content for the Internet. HubPages will display your ad code 60% of the time that your pages are displayed. They also have Amazon and eBay modules. Recently HubPages introduced a new HubPages Ad Program in which the earnings from several different merchants are pooled. 2. Write as a freelancer for existing websites and publishers. Freelance writers are typically paid one time for a published piece. Rates vary widely. Copyright ownership usually goes to the buyer along with the content. In some cases the writer will receive a byline. Writing as a freelancer can be tough. It takes awhile to find the right jobs but once you get your foot in the door – and you are a good writer – you will have the opportunity to make some money. Keep in mind that most writers are not wealthy and they work hard. 3. Publish your own website and make money with affiliate marketing and advertisements. You don’t have to register a domain and secure hosting to get a blog going. You can get a free blog from Blogger.com and on that blog you can write about your own thing and run affiliate ads and Google ads. There are also other types of writing that can be done online. Writers are hired to create advertisements, eBooks, and even to help populate a new forum or write comments on blogs. Now that you have read this get busy and join HubPages and start writing. You don’t have to be in a rush with your writing as long as you get started now. Don’t procrastinate. If you want to be a writer and earn something from it too then go ahead and get started. Share your thoughts and understanding and your own views of the world with others and have fun. Some folks enjoy blogging and writing and don’t even think of making money with it! Google AdSense Google makes payment via direct deposit or check. Amazon.com Affiliate Amazon makes payment via direct deposit or check.